In 1998 Ionic Technologies, Inc. was established in Greenville, South Carolina, through a partnership with Aalberts Industries of Doorn, Netherlands. 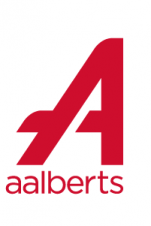 The Aalberts Group employs approximately 12,000 people world-wide with annual sales of over 2 billion Euros. The company’s vision is to offer the metal working industry the highest level of Ion, Gas, and Solution Nitriding and Vacuum Heat Treatment services for all types of metals. Our goal is to seek new technologies that will allow Ionic Technologies, Inc. to provide an unparalleled and unique service unmatched by the rest of the industry. We are committed to total customer satisfactions and 100% on-time delivery. We base our existence on giving our customers better quality and service than our competition. In doing so, we utilize only the best quality equipment we can find in the world. ISO/TS 16949:2009 and AS9100C accredited.